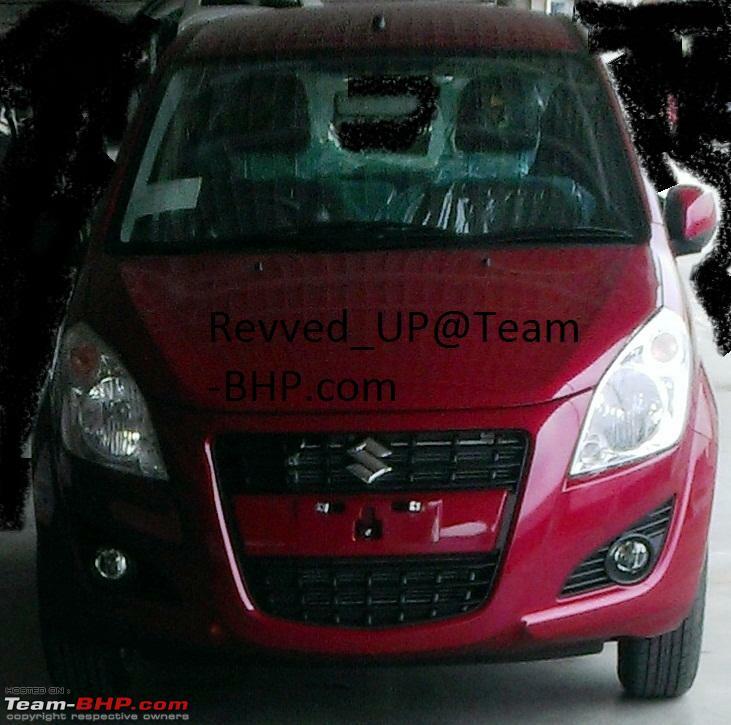 Facelifted Maruti Ritz round the corner? 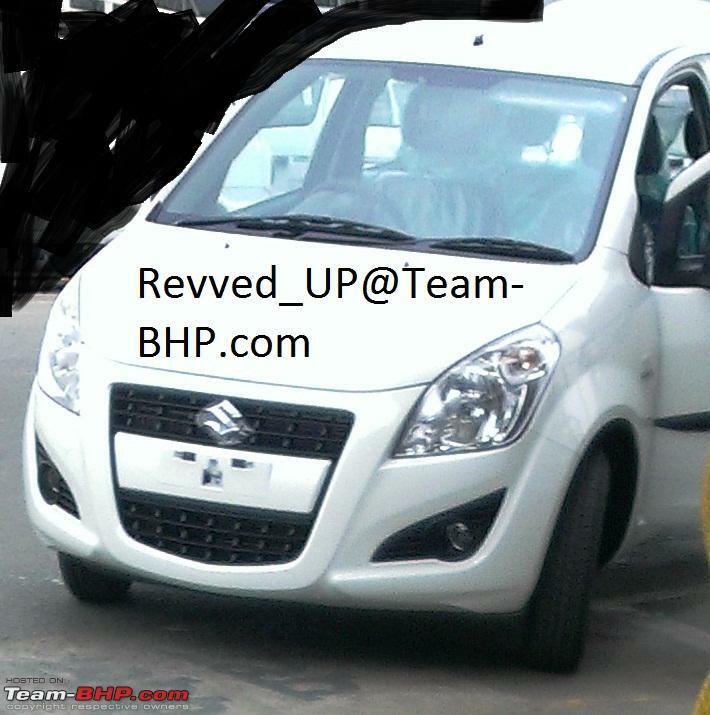 Re: Facelifted Maruti Ritz round the corner? You are talking about complete Assembly lines, which is easier said but very difficult to do. IMO, a major chunk of Ritz sales are coming from mouth publicity rather than looks. So, if they are able to make the car's looks appealing to much more customers, they can sell Ritz in 5 digit numbers. The changes sugegsted by you lowering roof esp will entail lot of design changes and increase the costs. Booted version of Ritz, intresting suggestion, no one has done a booted version of a Tall boy yet, may the Photoshop experts can give it a try first to see how it looks. Last edited by silverado : 29th July 2012 at 08:23. I own a Ritz and i prefer that the sales numbers stay lo. It increases the uniqueness feeling. OTOH its difficult when people ask "kaunsi gaadi hai", on replying ritz, they ask "swift kyu nahi le". I feel like vanging my head on the wall. O.T.- How do we add smileys to the post using the tbhp android app. I also saw a VDi-ABS model, good that ABS is available in VDi now, unlike swift. Good news! I saw a Ritz ZDi(ABS) today. That's very good news indeed. They should have kept both the variants for the Swift as well. I totally agree with rajan, I too own the Ritz and have came across similar situation several time. Sach mein bolthi band hojathi he. O.T- Me too using android app and facing same problem. Any solution? The present generation ritz vdi is also available with ABS, but not standard as it comes as option. @silverado your point seems valid, but, don't Swift & Ritz used to share chassis some time ago & the newer swift is not a new car altogether but an improved version (except the brakes) of the older car. And they share the same diesel engine & the petrol (again Swift's engine is advanced). There are many companies which use the same plant to manufacture derivatives of the same base, viz - Audi-VW-Skoda, Renault-Nissan, Fiat-Tata. Plus, this is an excellent opportunity for the MS management to show workers at Manesar that MS can survive in long run without them, & that too without any harm to existing customer base. I guess MS is trying to make profits of the exports of M800, Altos, A-Stars, Ritz (Splash), rather than cater to Indians, because of whom they are what they could never had if it wasn't selling in India. FYIP, Suzuki is rumored to planning exit from US market, and they aren't big sellers (actually laggards) in Europe too. Ok Guys, another good news. I saw petrol Automatic version (ABS) today! Here are the pics of the redesigned front. FYI, I got info from MSIL staff today that efforts are already underway to start production of Swift at Gurgaon. I am not sure how easy it is, but it was done last time also when there were problems in Manesar. Last edited by revved_up : 31st July 2012 at 20:31. That's a great find. The Ritz deserved an Auto. This will help it fight the i10 Auto and will find a number of takers in Metros. I am sure this will find the way into the Swift Petrol soon. The red Ritz also looks very nice; guess maruti is now trying very hard to make Ritz a hit, especially with swift production now stopped. Last edited by nurni76 : 31st July 2012 at 20:42. An Automatic Ritz? Any idea when is the launch date. I was deciding between the A-Star Auto and the i10 Auto. The Ritz would definitely be a contender if it is launched soon, and if the price difference between the M/T and A/T variants is only around 50-60k (like it is for the A-Star). Well, the cars look ready to be despatched. So, I guess the launch date is soon, very soon. No idea about the price. If I were you, I would wait, Ritz can be a very good alternative to i10, A-Star! That is an excellent news. Now Maruti should price it correctly like A Star [50 K more than V variant] and not like Dzire [1.2 L over the V variant]. That's some really good news for the folks looking for AT small car options. With just i10 and A-star in the market currently, we had to be at the mercy of these guys. With Ritz auto and the Diwali planned Brio AT, we have some choices to choose from. Eagerly waiting it to be launched and see how Maruti prices it. Hope its not over priced like the Dzire or i20 ATs. Thank you for the news... this confirms what I had suggested earlier as well. This will definitely help keep the wait for Swifts to a great extent. Thats a great find revved-up. A ritz automatic variant will bring great numbers for MSIL as people are somewhat reluctant to buy the i10 automatic due to its too poor mileage and I seriously am not pleased with hyundai's ***. The a-star automatic couldn't be very successfull due to the pre-existing image of a-star and its love it or hate it design (majority hate it). The ritz has been already selling quite good numbers and the rear design of the car (which can be the only reason of not buying it) has also now been accepted my most of the indian folks. So those who are in need of an automatic hatchback will surely move towards the new ritz now. So basically the Dzire and the Ritz will share the same engine and transmission. Wow. MS is offering a total of 3 auto products this side of 7 lakhs. The Ritz ticks all the boxes for a buyer looking for practicality except that of looks (rear). Now with the auto box as well as a possible ZDi variant, it has one more reason to win over the potential customers . We have been contemplating a second small car and while the purchase is still at least a year down the road, it good to know that there will be an AT variant. Looks aside, I think its a wonderful car. In fact everyone who asks me about a hassle free small car I direct them towards the Ritz.